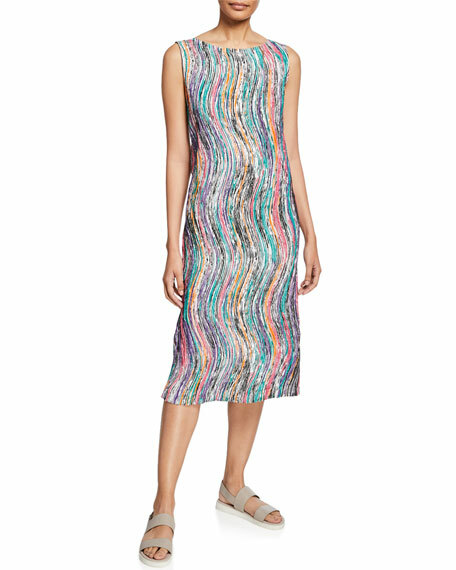 Issey Miyake dress in zigzag strokes. 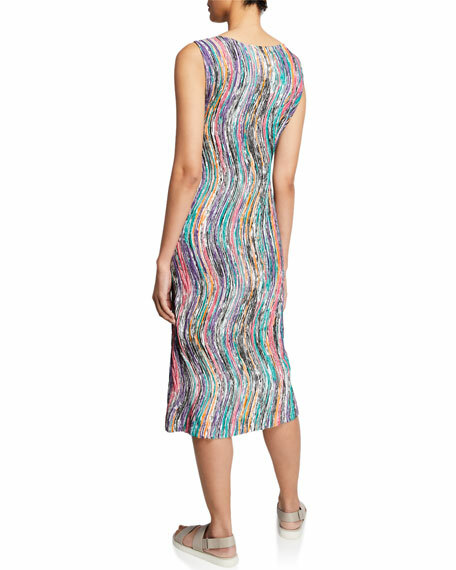 Alice + Olivia "Tonie" printed dress accented with embroidered eyelet detail and ladder stitching. V neckline. Sleeveless. Tiered ruffle skirt. A-line silhouette. Above knee length. Exposed back zip. Modal. Imported. Exclusively ours. 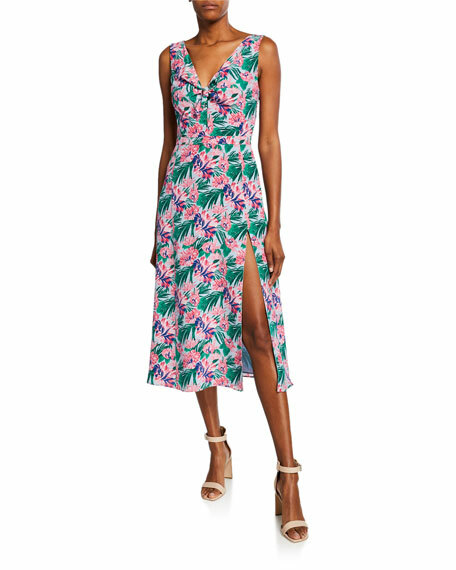 Altuzarra "Rio" dress in floral-print silk georgette. Approx. 42"L down center back. Knotted V neckline; V'd back. Sleeveless. A-line silhouette. Thigh-high slit. Midi length. Silk; lined. Made in Italy. 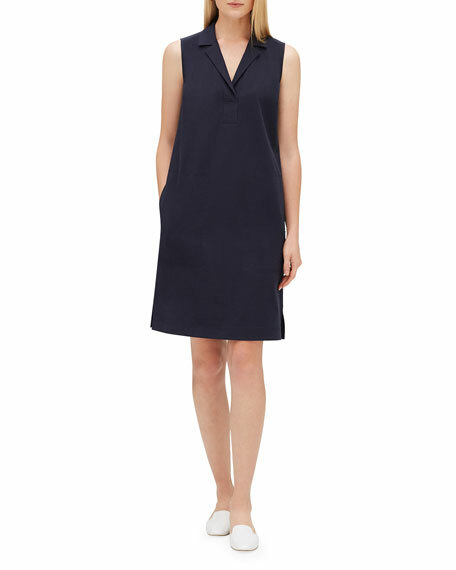 Lafayette 148 New York "Kit" dress. 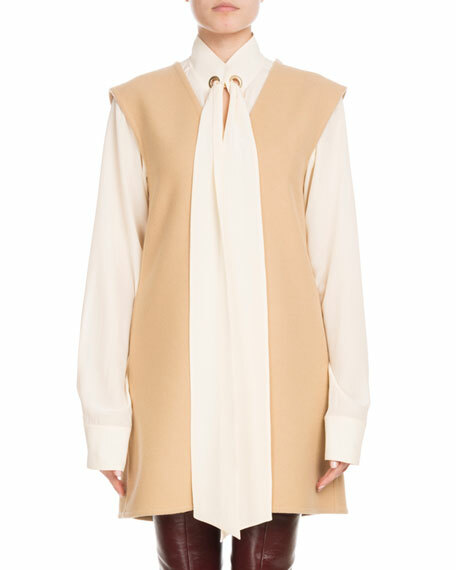 Notched collar; V-neckline. Sleeveless. Yoked back. Side slip pockets. Relaxed silhouette. Knee length. Vented sides. Straight hem. Pullover style. Cotton/spandex. Machine wash. Imported.